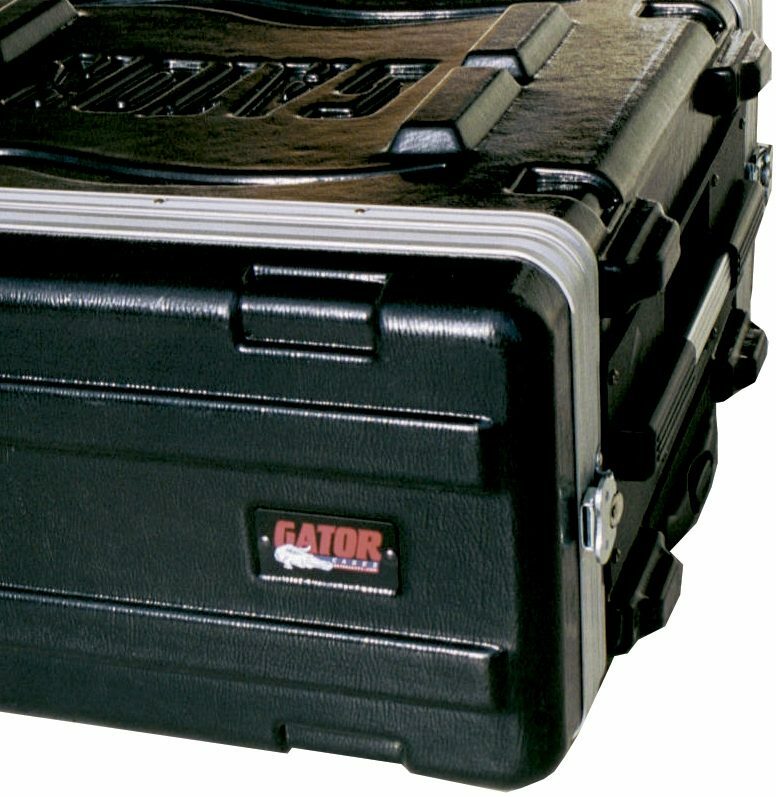 Standard 19-inch rack instrument/gear can find no better place to be placed than in a stackable Gator Deluxe Rack Case. $169.99 Seen a lower price? 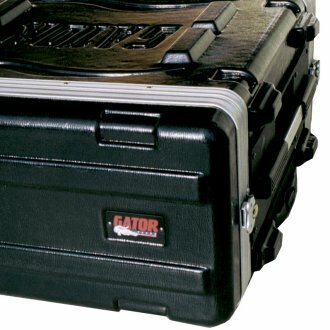 Gator's deluxe rack cases are molded from incredibly durable high-density military grade Polyethylene. This lightweight yet super-strong material ensures maximum protection at a weight you can easily handle. The cases have 18.25 in. of rackable depth with front and rear threaded rack rails that are field replaceable. Exclusive to the Gator racks are locking front and rear lids. Sloped side handles molded from Polyethylene make them comfortable to carry when the racks are loaded and they are virtually indestructible. The ridges on the top and bottom make them universally stackable with Gator racks and those of other manufacturers. The latches are strong twist style and are designed to take the beatings of a rack on the road. When buying a rack Gator dares you to compare; Gator racks offer the best materials, features and price. - Interior Front Rail to Rear Rail Distance: 16.5 in. - Interior Front Rail To Rear Lid: 18.75 in. - Interior Lid Depth: 2.25 in. - Exterior (HxWxD): 6.5 x 22 x 22.375 in. - Interior Front Rail To Rear Lid: 18.25 in. - Exterior (HxWxD): 10 x 22 x 22.375 in. - Exterior (HxWxD): 13.5 x 22 x 22.375 in. - Exterior (HxWxD): 17 x 22 x 22.375 in. - Exterior (HxWxD): 20.5 x 22 x 22.375 in. - Exterior (HxWxD): 24 x 22 x 22.375 in. Available until 11 PM (EST) today. Mention special code 208-CX09 when you call.